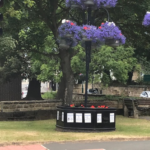 ICL UK is pleased to announce that £450 has been donated to Guisborough in Bloom, as part of its Community Fund scheme. The donation will go towards the watering, maintenance and plant pot costs. 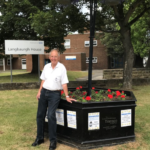 Britain in Bloom, the parent organisation of Guisborough in Bloom, was first established in 1963 and it is the largest horticultural competition in the UK today with over 200,000 volunteers involved. Over 1,600 communities from around the UK enter every year, and each participate in their localised version of ‘Britain in Bloom’. 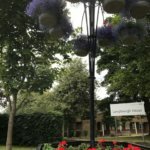 Around 80 communities are chosen to enter the national Finals of RHS Britain in Bloom. 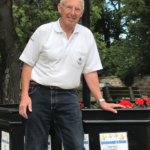 Mike Kilby has been chair of the Guisborough in Bloom group for 15 years and his role has involved fundraising, as well as the coordination of the town’s bloom displays. Mike currently has around 10 volunteers who work hard to maintain the displays which are enjoyed by the local community and tourists alike. The ICL UK Community Fund programme is open to local businesses and organisations. If you would like to apply for a grant, please click here.